I can print up to 13 x 19 via My Personal Framer on either matte, luster or glossy photo paper or fine art Hahnemuhle paper. The selection is more limited than via the photo publisher I use. The prices in ​PURPLE can be in-house. I can order for you and have it shipped to the studio for pickup. You can also choose to have it shipped directly to your home or business. 10% off the custom framing when you place your custom framing order. 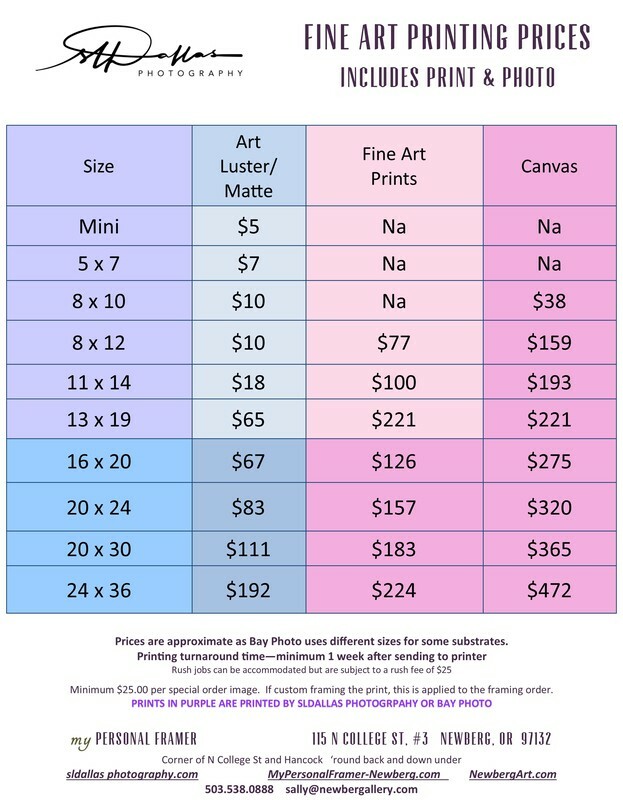 Prices (purple) below up to 13x19 are printed in house.